Interactive visualisations which showcase Architecture and Real-Estate projects in a compelling way. Vitalise architectural presentations by engaging your audience with real-time simulations and animations, for an interactive experience. 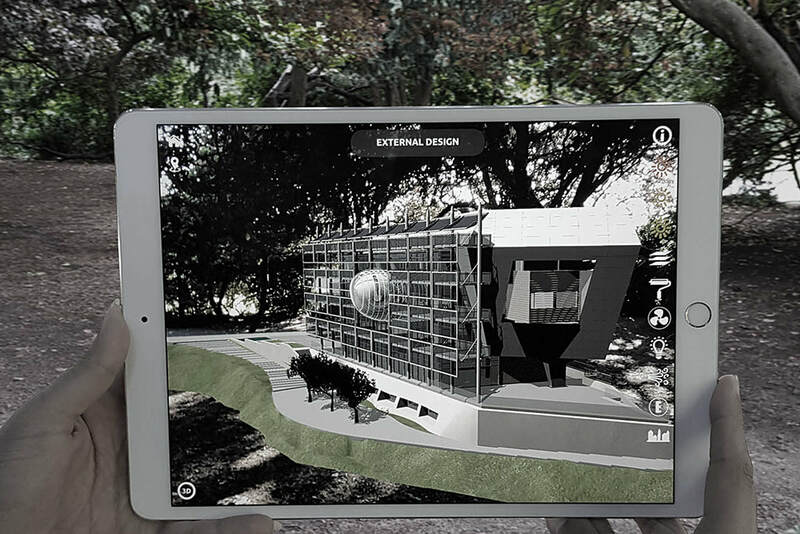 Showcase architectural projects using mixed-reality technology, which can augment projects at any location, at any scale, for a truly immersive experience. Distribute projects to clients privately or publicly via ARki app. 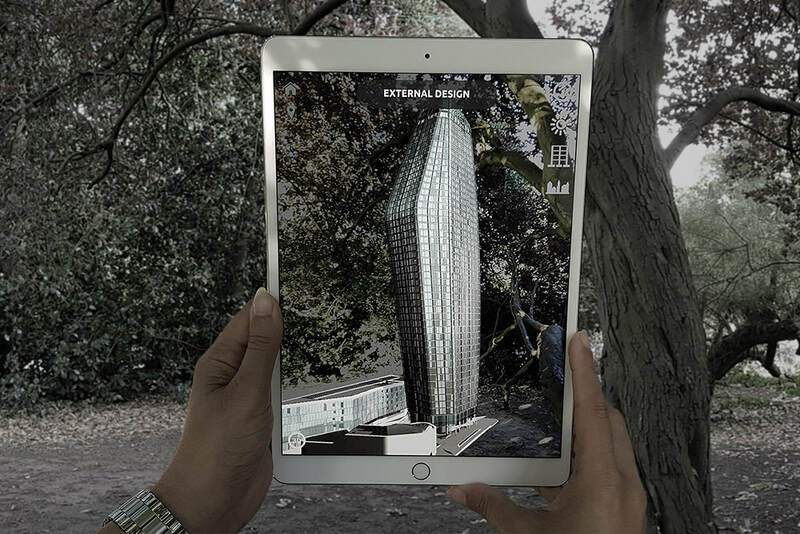 Create immersive marketing models for Real-Estate, by engaging buyers with interactive virtual experiences of buildings. Distribute projects globally via ARki app. The Porter School of Environmental Studies illustrates the mass sustainable design features within the building, utilising a host of interactive features and buttons to tell the story in a dynamic way. One Blackfriars project showcases the impact of London's latest tower over the neighbouring buildings, through the use of a sun-path animation, and dynamic real-time shadows. Ayla Peninsula Villas includes a host of interactive features which highlight the design journey of each villa, including multiple design options, ecotect data visualisation, as well as programme and massing studies. 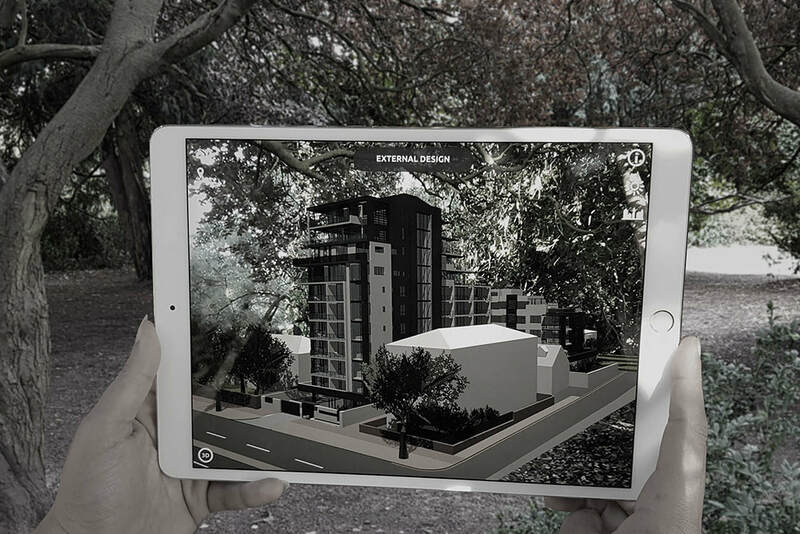 169 On-main visualises prime real-estate in South Africa with the use of an interactive mixed-reality 3d model, which can be shared publicly with potential buyers via ARki app.